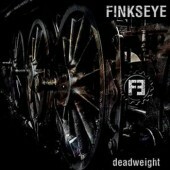 The Swedish electro/industrial project FINKSEYE became well known with their first album on Razgrom "Deadweight" – an album that received excellent reviews in many music web-zines. Two years later, Henrik Fink Nilsson returns with the second album of his project, demonstrating an impressive progress and further modernization of FINKSEYEs sound. "Under a godless Sky" is made in the best traditions of classic electro-industrial, but you can also find elements of dynamic EBM, melodic synth-pop, and 3 great epic / monumental instrumental compositions, dedicated to 3 cities, that are united by a tragic destiny during World War II ("Stalingrad", "Dresden", "Oradour-Sur-Glane"). 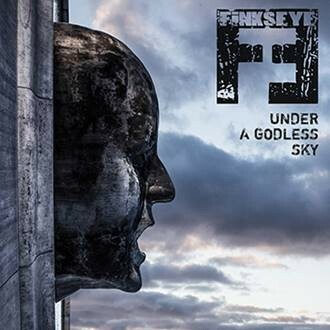 The overall sound of FINKSEYE has become more complex, intelligent and melodic in a specific "Scandinavian way". This release will appeal not only to fans of gloomy post-apocalyptic EBM / Industrial, but also to fans of high-tech sci-fi electro and projects like COVENANT, CRYO, FRONT LINE ASSEMBLY, DUPONT etc.